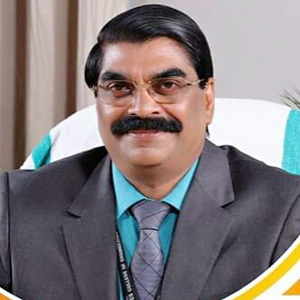 Dr. Pradeepan has 34 years of teaching and research experience in various NBA and NAAC accredited institutions in Kerala and Karnataka. He obtained his basic degree in civil engineering from NSS engineering college Palakkad under Calicut university and ME in environmental engineering from PDA college of engineering Gulbarga under Gulbarga university. He obtained PhD from NIT Surathkal. 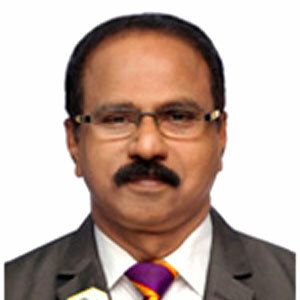 He has worked in various capacities Dean(Research), Director (R&D), Principal and guiding research scholars. He had more than 20 international and national research publications in various reputed journals. He has chaired many international and national seminars and conferences. He is institutional member of Indian Society for Technical Education, Indian Concrete Institute and fellow of the Institution of Engineers (India). SNGIST Group of Institutions is always looking forward for academic excellence by introducing innovative ideas in education. Here we have created an atmosphere for students to develop their skills and ideas under the guidance of excellent faculty members who have excellent experience in industry as well as academics. We have well equipped laboratories and a very good library for the benefit of students. Our target is not only to bring academic excellence, but also to mould present day students to become very good citizens of tomorrow by giving them training in academics, soft skills and in extracurricular activities. Our technical campus has MBA and MCA in addition to B.Tech courses in Civil, Mechanical, Electrical, Electronics and Computer Science branches and we have a student friendly and eco friendly campus giving an excellent atmosphere for academic excellence. I wish all our graduates and students a wonderful life and successful career ahead.